Rent the Pavilion for your next party! No rental on July 4th. $26 for the first hour; $11 for 2nd and 3rd hours. (3 hour maximum; additional hours start a new rental; pending availability). Rental time includes time for set up and clean up. Payment is required prior to use- credit card only; 48 hour cancellation notice, except if pool closes due to inclement weather. Rental entitles user to pavilion, tables, chairs, and grill. Use of the grill outside the pavilion only. Decorations may be attached with masking tape only and must be removed at the end of the event. Clean up is required by the user. Trash cans will be provided by the guards. 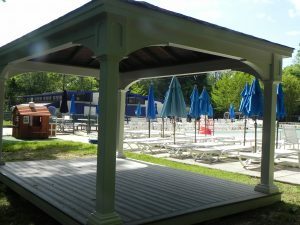 Click on Pavilion Rental Form to see what dates are already booked, and to sign up for your party. You will need to click on each hour that you want to reserve. 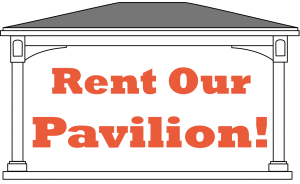 For more information on Party Rental responsibilities click: Pavilion Rentals Info. 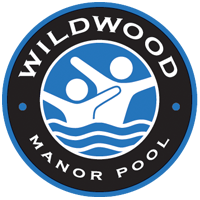 Or contact pavilion@wildwoodpool.com for more information.